Bunch of Tulips by the Hungarian Peter Koros is literally a blown up interpretation of the Dutch tulip mania. 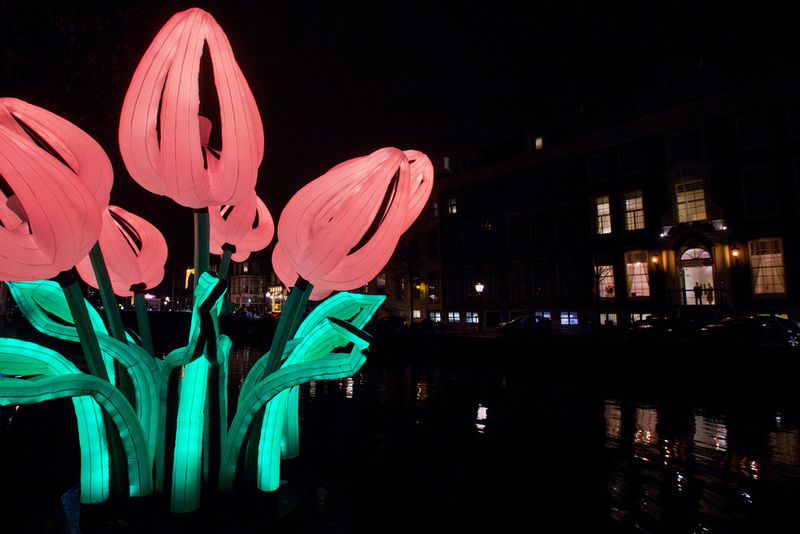 The Netherlands exported almost two billion bulbs per year then. 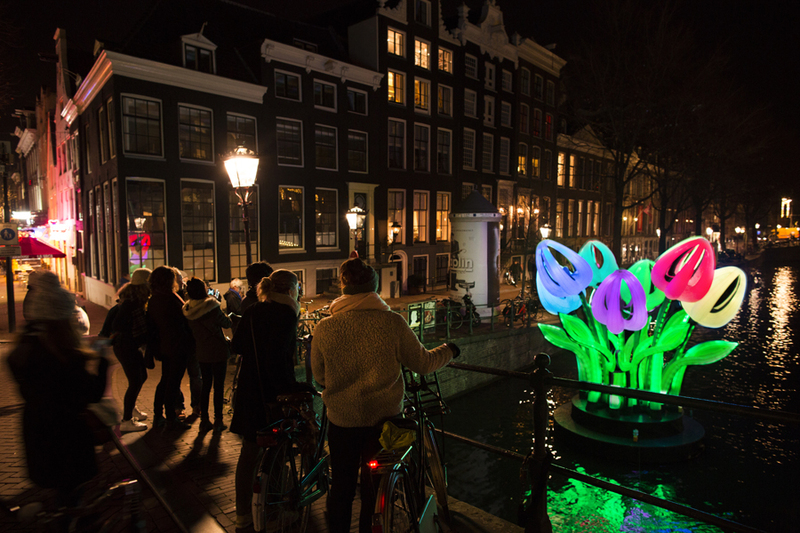 By recreating tulips in a big inflatable installation his tulips can be seen as a Pop Art work. His kitsch approach gives this historic and touristic symbol a new context. Hungarian Peter Koros studied transport engineering at the Applied Arts University in Vienna, Austria. Koros graduated on inflatable installations for an environmental protection association. In 2009 Koros created his first kite. He has been active in the kite industry ever since. From an inflatable dragon marionette for a theatre to a Venus of Willendorf for a music festival. Next to this he makes interior design, furniture and technical design with different materials, from light textile to heavy metal.